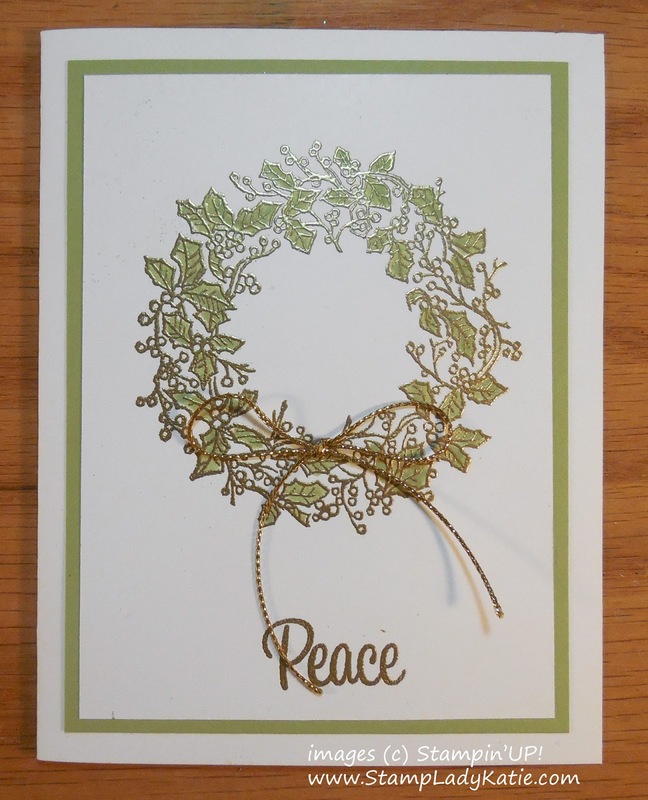 Are you looking for Christmas Card ideas? I love the simple elegance of this gold embossed wreath. The Peaceful Wreath stamp set was designed to go with the Wreath Framelits, (see yesterday's post) but when you're mass producing its nice to eliminate steps. The sparkle and gold make this look much harder to make than it really is.